At an exhibition of new inventions, an exploding steam engine kills a man. When Moriarty tries to figure out what happened, he comes up against Sherlock Holmes, sent to investigate by Moriarty's old enemy. 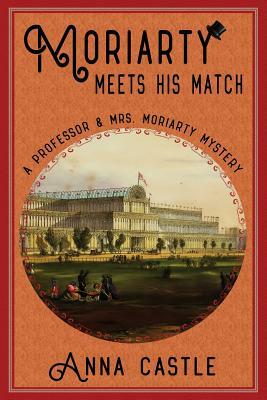 Holmes collects evidence that points at Moriarty, who realizes he must either solve the crime or swing it for it himself. He soon uncovers trouble among the board members of the engine company and its unscrupulous promoter. Moriarty tries to untangle those relationships, but everywhere he turns, he meets the alluring Angelina. She's playing some game, but what's her goal? And whose side is she on? Between them, Holmes and Angelina push Moriarty to his limits -- and beyond. He'll have to lose himself to save his life and win the woman he loves.